Photo Books in A Snap with Adobe Lightroom - Radii | Go Digital. Go Radii. 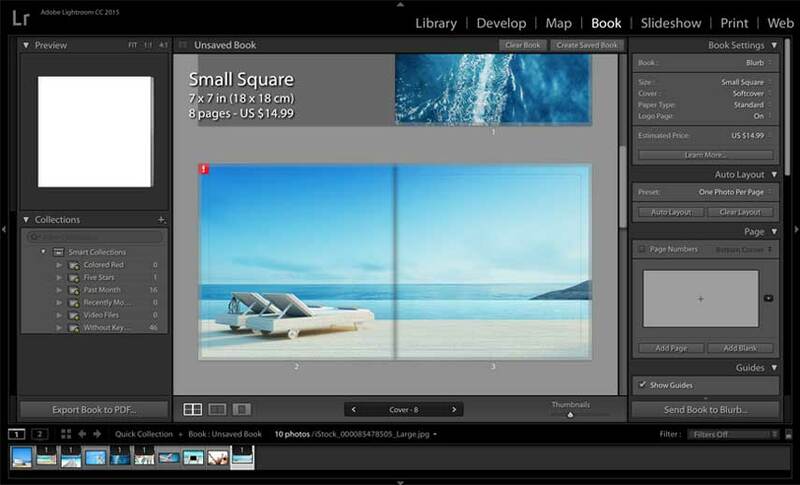 Photo books and collages have gained popularity recently, today we'd like to share an awesome feature in Adobe Lightroom that lets you create your own custom photo book! Create or select a collection of the photos you’d like to be included in your book. Once you have your selection of photos ready, you can order them as to how you would like them viewed in your book. You can come back to this and reorder whenever you like. You are also able to have some fun customizing your book with features similar to Adobe InDesign in terms of layout and formatting of items on the page. One important item to note when creating your photo book is to ensure the photos are at 300 dpi at their current zoomed/cropped state in the photo book view. Lightroom is great at flagging photos below this quality by displaying an exclamation mark symbol (!) in the top righthand corner of the photo in the book mockup so you are able to adjust before printing. You can see the photo I chose in the graphic above needs to be either sized down or edited to be output at the highest quality. 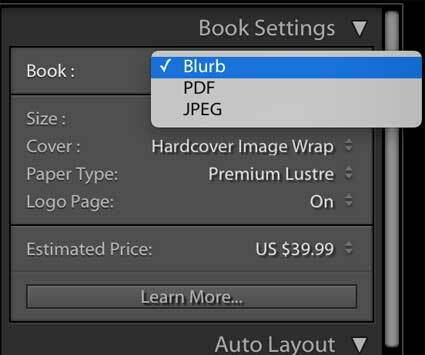 The price jumps by 20% when you select the option to print without the Blurb logo, keep this in mind if you decide to not print the book through Blurb. You are also able to export the booklet as a JPG or PDF should you want to. Unfortunately, Lightroom does not appear to allow you to export these files with bleed or crop marks, so you may not be able to print on your own unless your photos do not bleed off the page.